We’ve been blogging for about five years now and I have attended several blogging conferences. Blogging conferences are fun, but sometimes they are overwhelming and crazy busy. 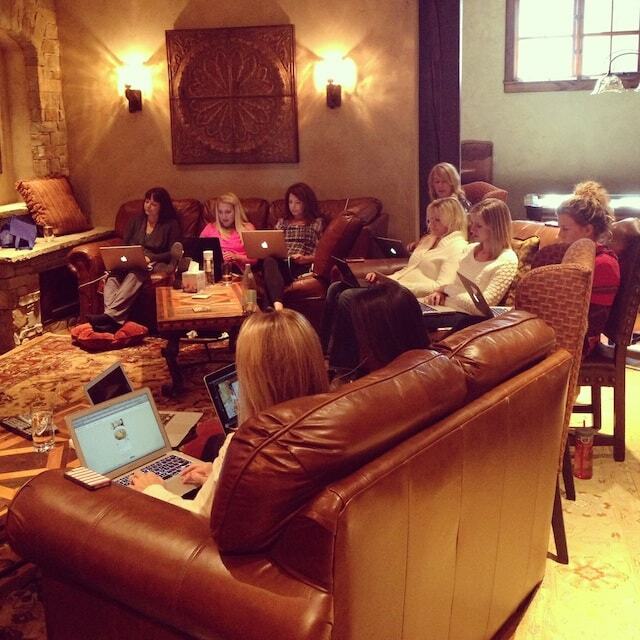 I’ve said for years that I wish we could have a blogging retreat instead of a conference. An event where we could discuss, brainstorm, share, ask questions, and inspire each other. 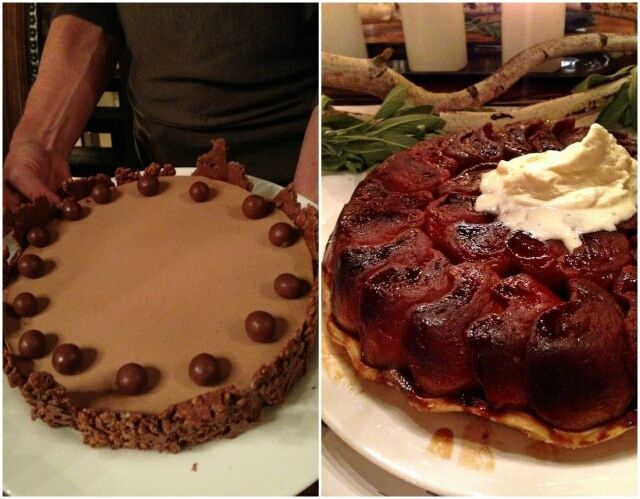 Oh, and cook and eat good food together…and relax a little. Well, a few weekends ago, it happened! 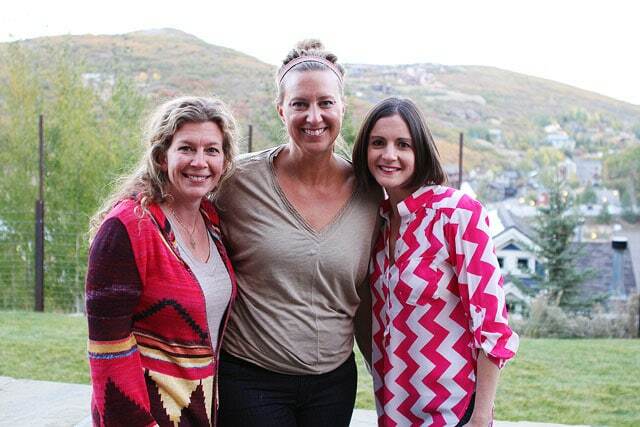 I got together with some of my best blogging friends for the first Better Blog Retreat in Park City, Utah. 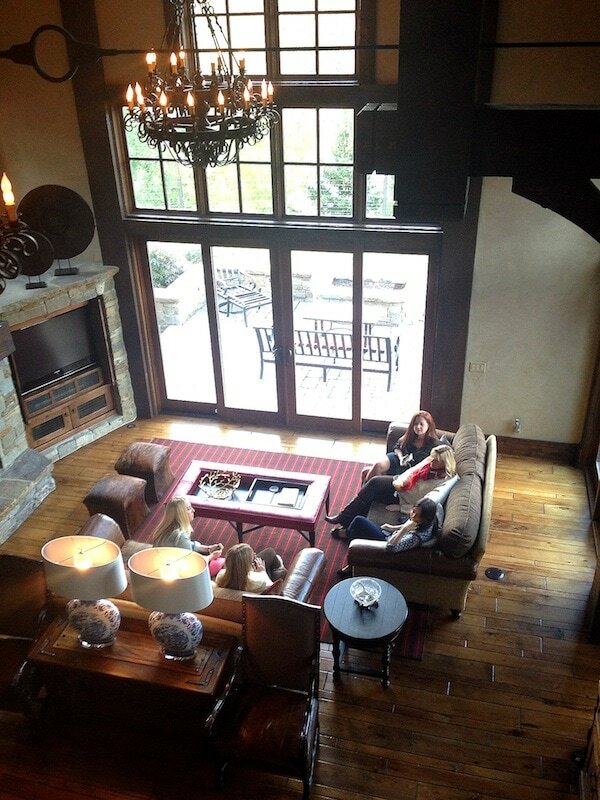 The retreat took place at Pinion Pines, an Anthology Storied Destinations home, nestled on the mountainside in Park City. The private home is accessible only by slope or a hidden tunnel. Yes, a tunnel. I felt like Batman when we drove up to the house! ha! 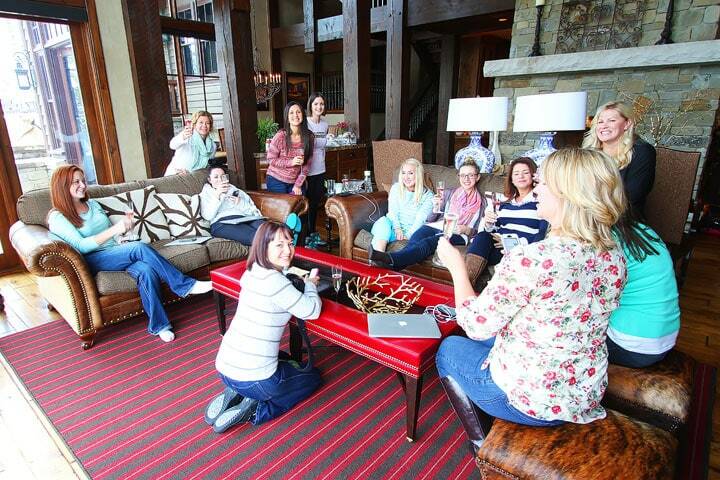 Pinion Pines was the perfect location for our retreat! 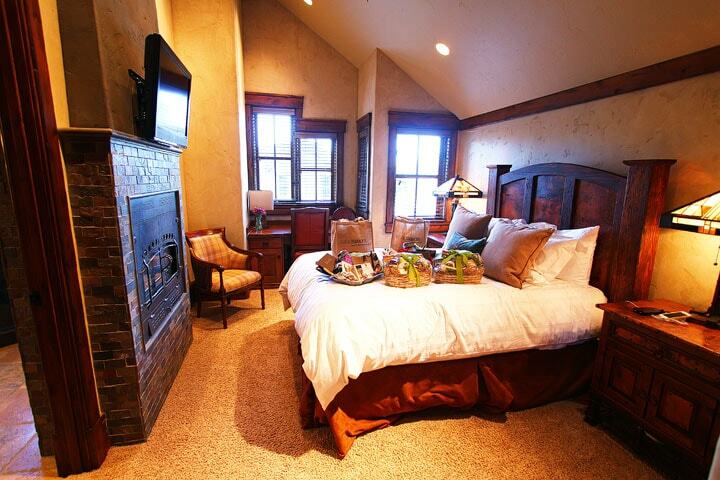 The house sleeps fifteen, has a theater room, spa and sauna, wine room, and lots and lots of space! 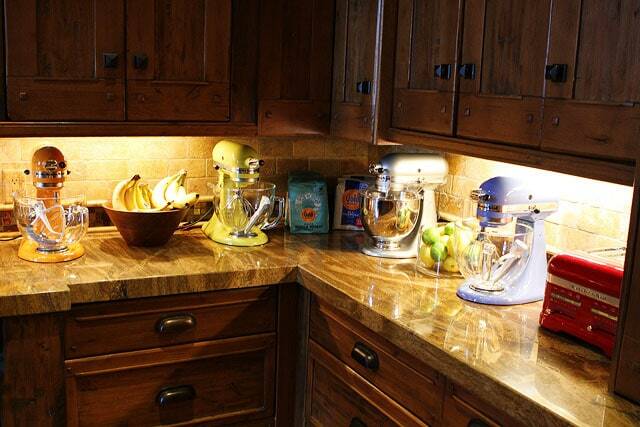 The KitchenAid Stand Mixers and KitchenAid toaster made the kitchen extra sparkly! 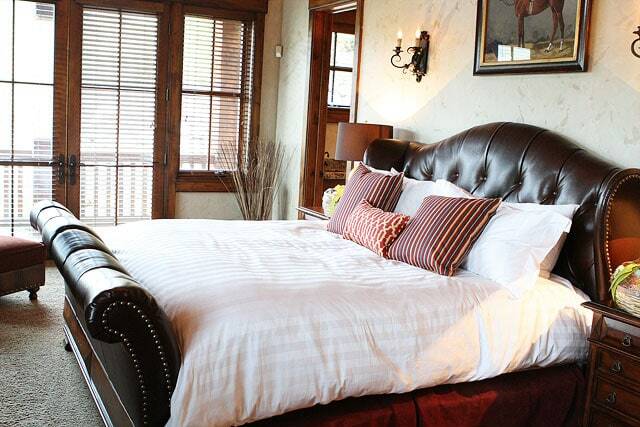 One of the six beautiful bedrooms! 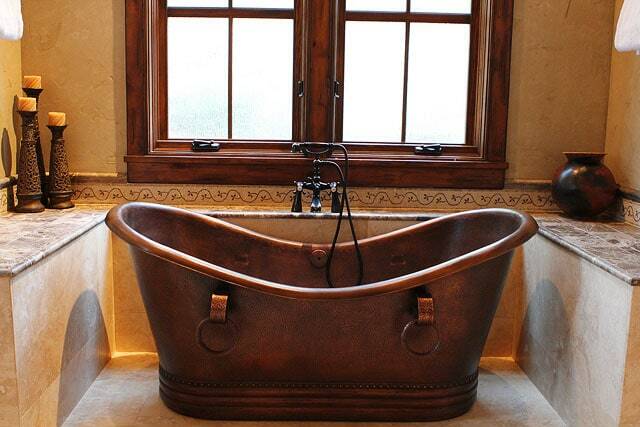 Check out this bathtub! If you get in, you won’t want to ever get out! Talk about relaxing! The house also has seven fireplaces! Every room was super cozy! The attendees also received welcome baskets from Harry & David! The dining room was big enough for all of us! 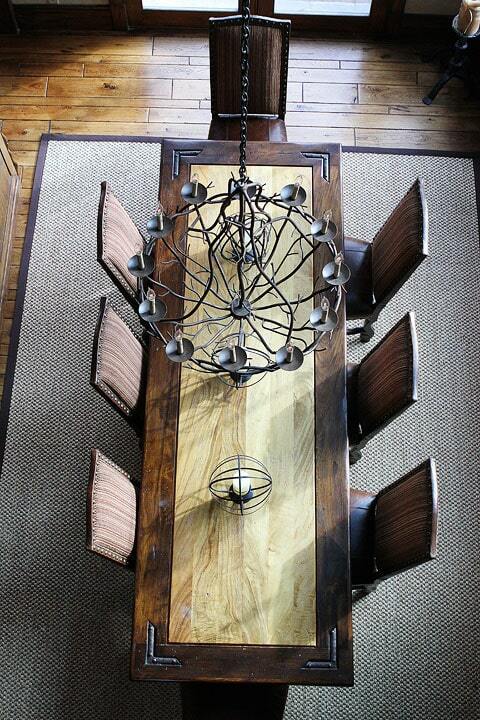 Love the rustic table! 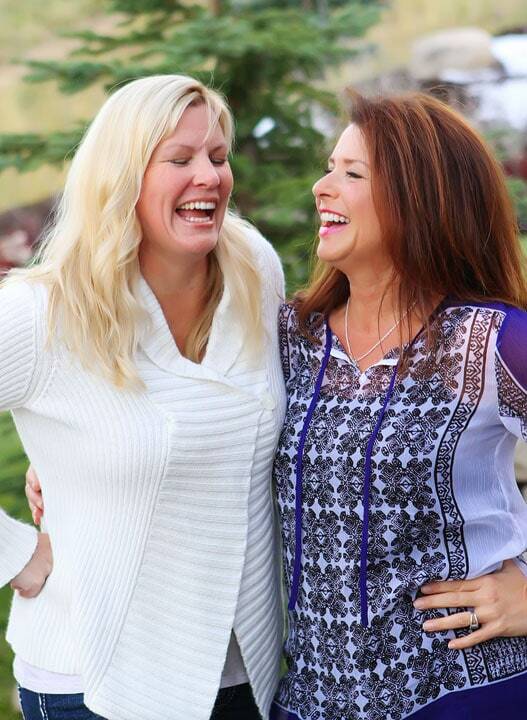 When the bloggers arrived, the large house was instantly filled with laughter. We had a sweet station with treats from Sweet Tooth Fairy Bakery and snacks from Whole Foods Market. The OXO Pop Jars were perfect for our snack station! We kicked off our weekend with appetizers from Wisconsin Cheese and Harry & David. 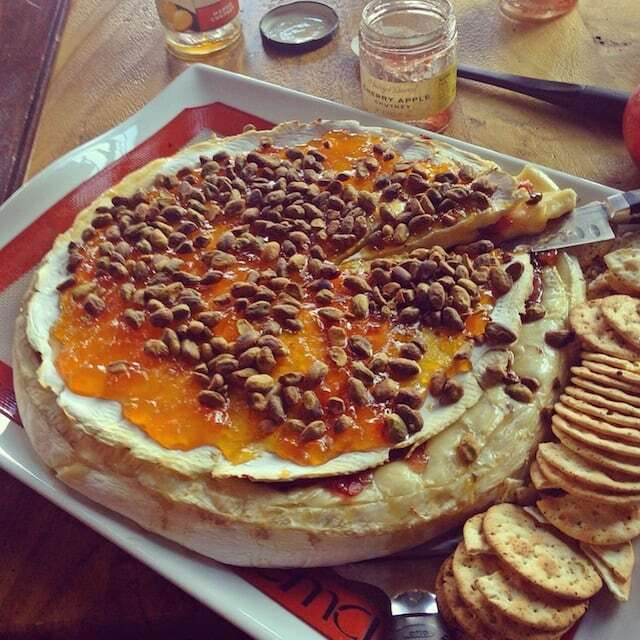 Sandy shared some of her favorite easy entertaining tips and her baked brie recipe. I think we get the world record for the largest wheel of brie! Holy Brie! It was SO good! 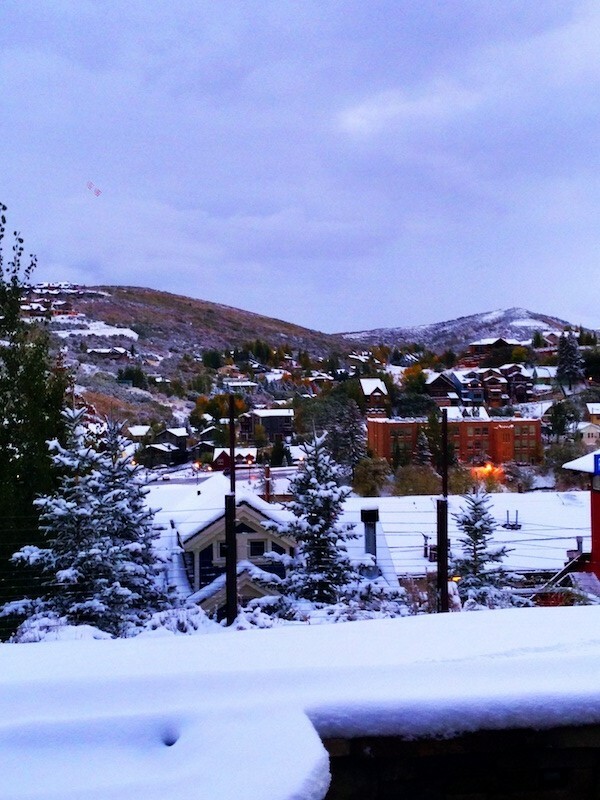 On Friday, we woke up to a winter wonderland! It snowed!! Everyone was super excited! 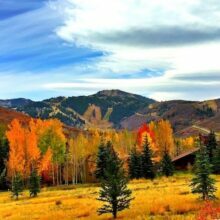 I am glad the out of towners got to experience Utah’s gorgeous fall colors and the pretty snow! 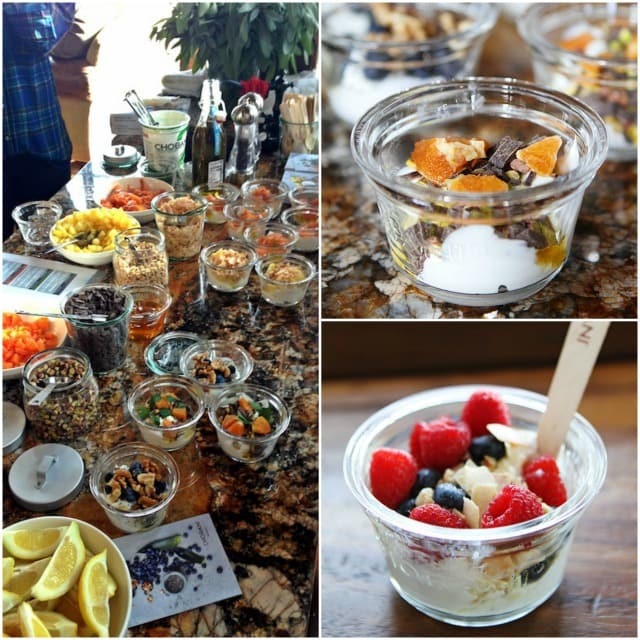 Chobani spoiled us with a healthy and delicious yogurt bar for breakfast. They made yogurt creations from their Chobani SoHo cafe. They were all delicious! We spent the day discussing and learning from each other. One topic lead to another and we kept the conversations going. Everyone in the group had something to share. I was amazed by all of the talent in the house! I took a lots and lots of notes! Of course, we took a few breaks to eat. DeLallo served up their new SaladSavors for lunch! 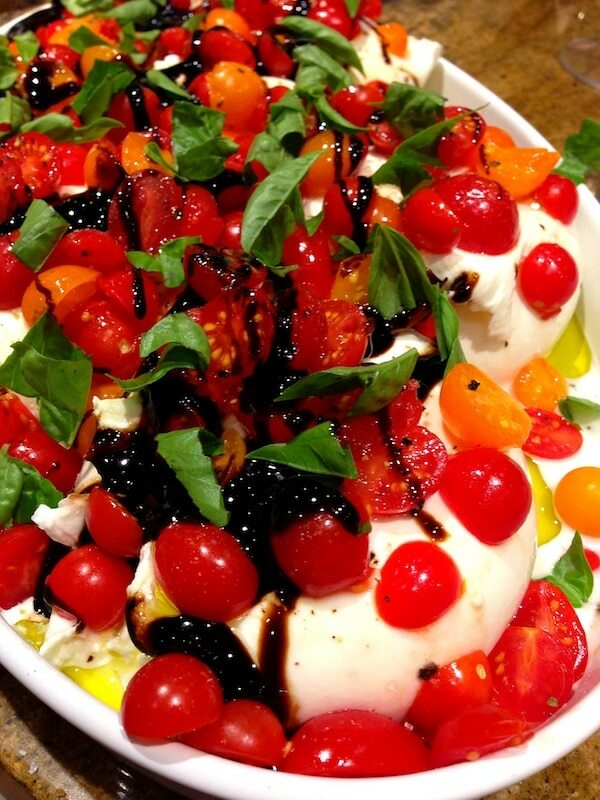 We love DeLallo’s pasta and now I’m in love with all of their SaladSavors. 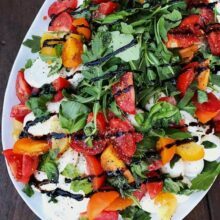 There are five SaladSavors toppings and I love them all! They will be available in grocery stores soon, so stay tuned! 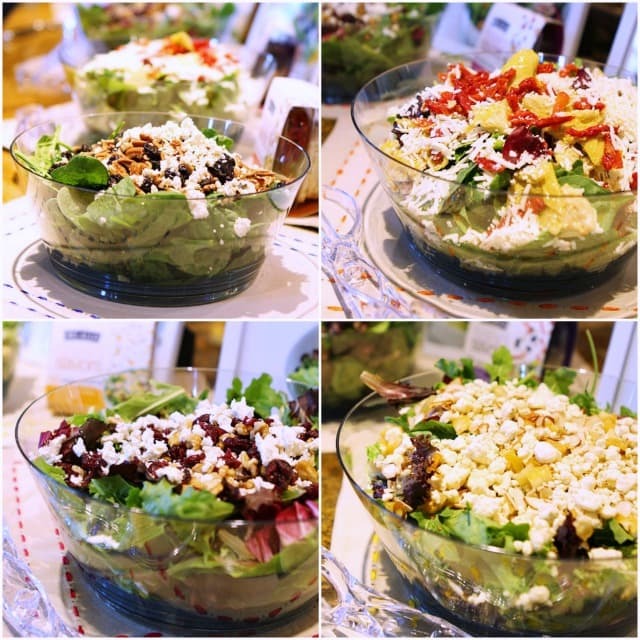 You will want to get your hands on all of DeLallo’s SaladSavors! 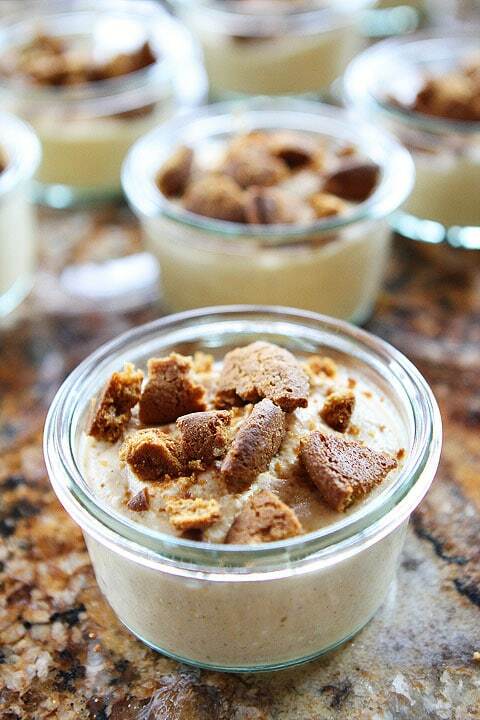 Chobani whipped up a Pumpkin Cheesecake Mousse for dessert! It was heavenly…and super cute served in Weck Jars! I will be sharing the recipe on our blog soon! It’s a winner! We spent a lot of time in the kitchen together! 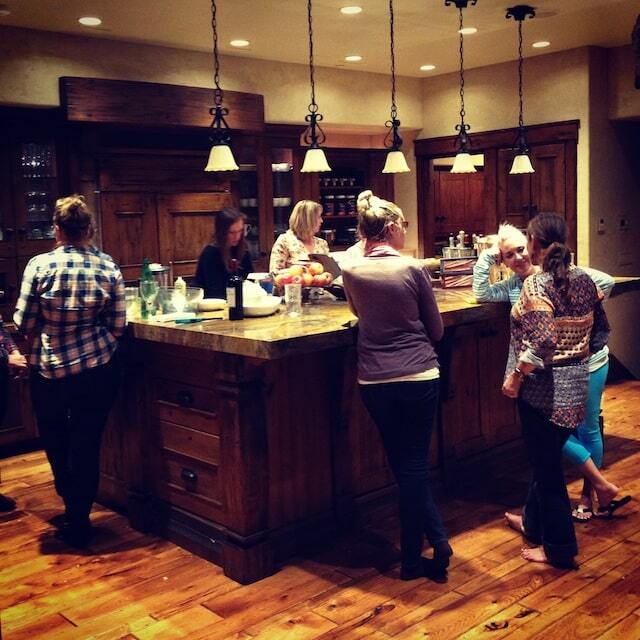 The kitchen was definitely the party room! On Friday night, we all made dinner together. It was so much fun having 15 food bloggers in the kitchen together. You better believe our meal was tasty! 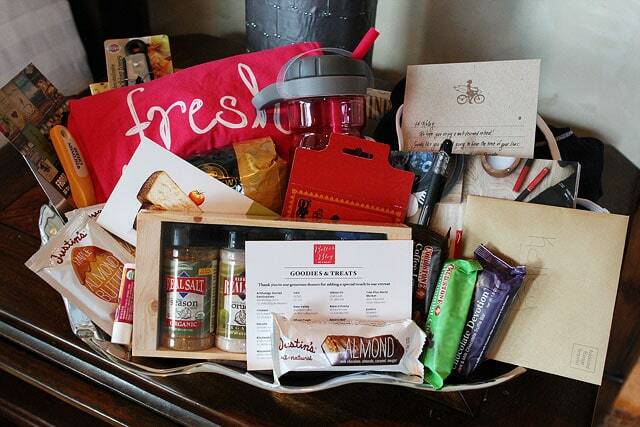 We featured a recipe from each blogger throughout the retreat! It was fun tasting everyone’s recipes. After our workout, we deserved a good breakfast. One morning we enjoyed a waffle bar! 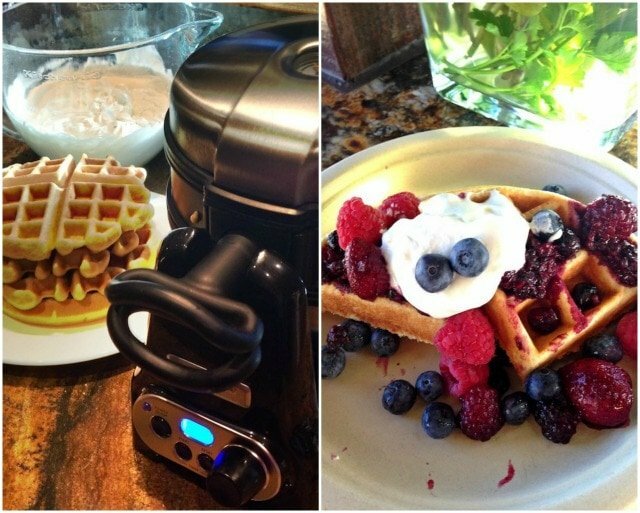 We used KitchenAid’s Waffle Baker. It is the BEST! It bakes two Belgian waffles at the same time! I topped my waffle with berries and Chobani’s whipped yogurt topping. Dreamy!! On Saturday afternoon, Zante Spa came to the house to spoil us with spa treatments! We had chair massages, manicures, and foot massages. I’ve never been so relaxed! It was the best foot massage of my life! Such a treat! 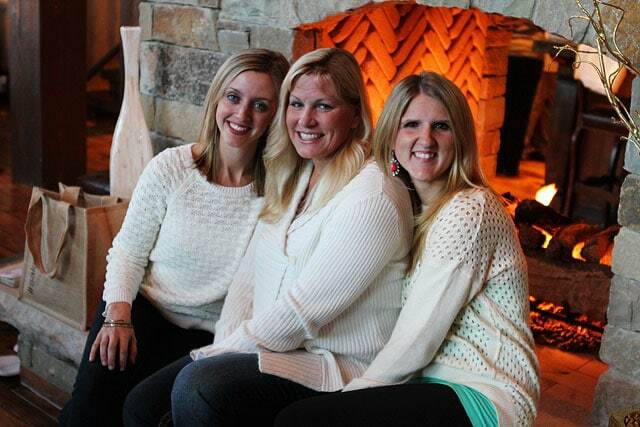 Ali, Lori, and Amanda cozying up by the fire! We took a lot of photos! It’s what we do! Kelley, Heidi, and Me! So grateful for these gals! Lori and Sandy! Love this photo from Amanda! I think it captures our weekend perfectly! 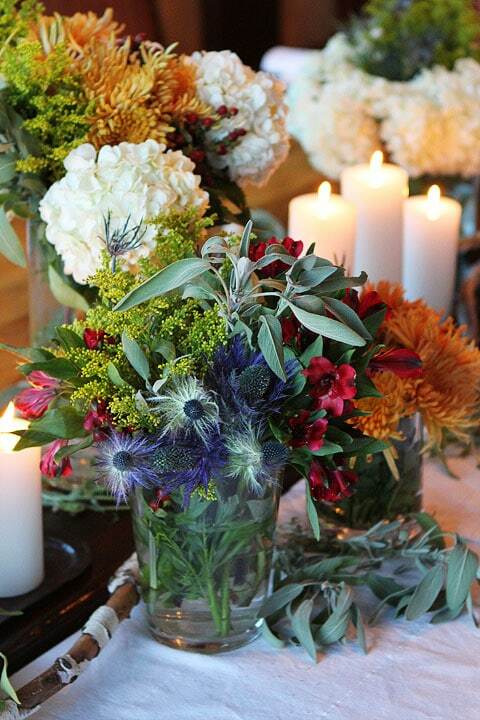 Beautiful tablescape thanks to Whole Foods and World Market…and Heidi’s mad decorating skills! 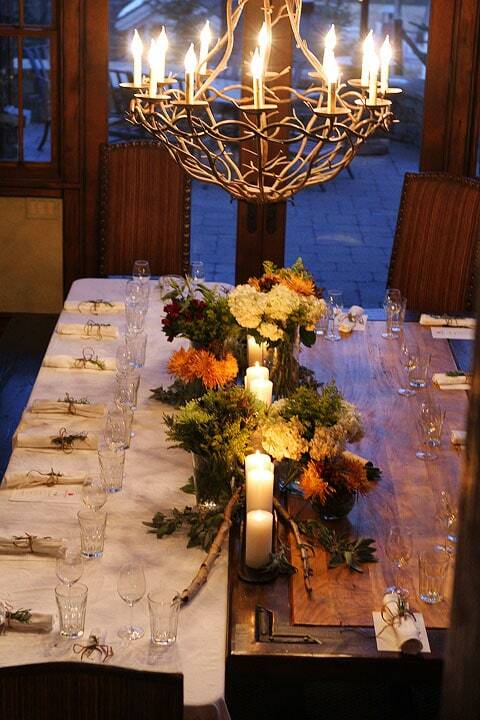 Setting the table for our special dinner with Deer Valley Resort. 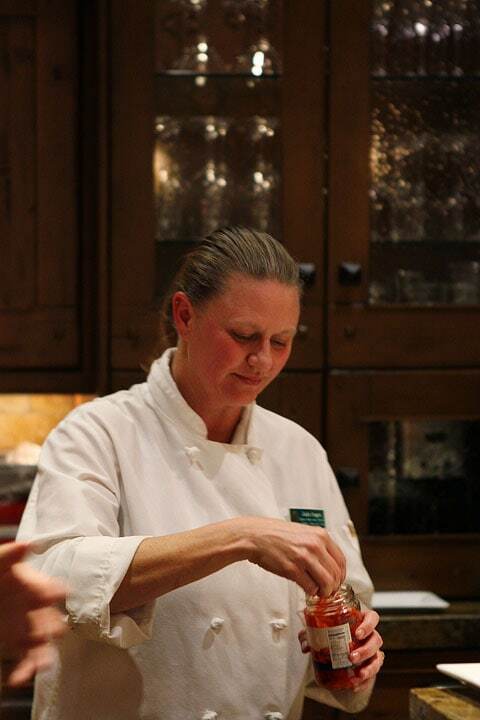 Deer Valley’s Executive Chef Jodie Rodgers took over the Pinion Pines kitchen to create an amazing meal! Gathering in the kitchen to watch Chef Jodie work her magic! 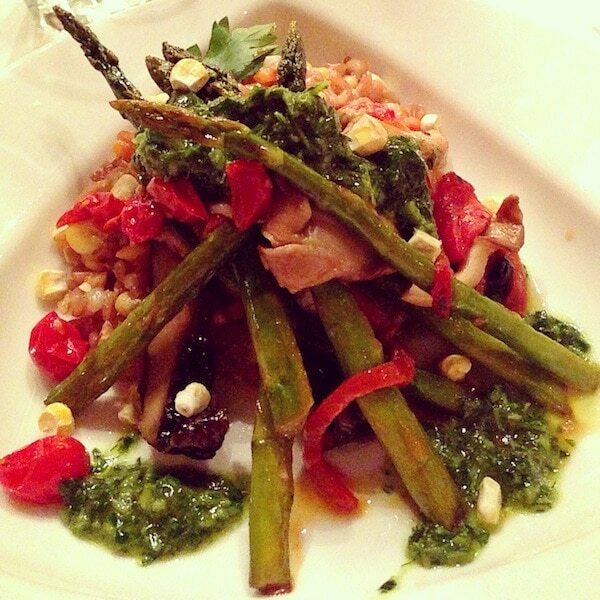 The cheesy farro with vegetables and garden harvest chimichurri sauce was sooooo good! One of the best meals I have ever eaten! No joke! It was a perfect dinner! Fabulous food and company! Thanks Deer Valley for making our final night together so special! It was hard to say goodbye to my blogging friends. The weekend was just what I needed. I took home a lot of great blogging and business advice, but more importantly I took home a renewed love for life. I’m so grateful that blogging is my job, but it is only my job. My friends reminded me that it’s ok to turn off the computer to enjoy life! I am working on appreciating the little things in life and spending more time with my family, friends, and making time for myself! Don’t worry, I will still be blogging, but I will be blogging as a better person! At least that is my hope! I love these ladies! Such an empowering group of women! 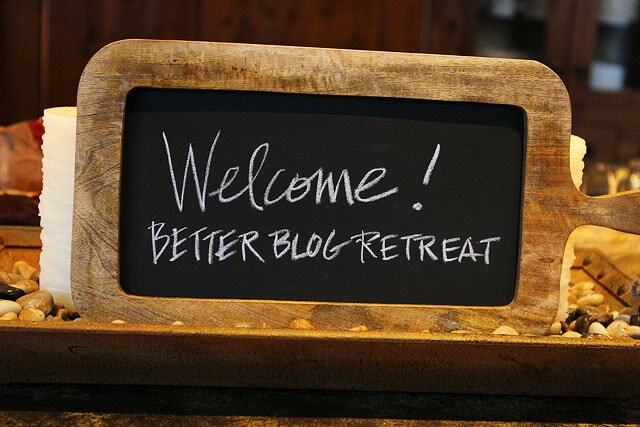 And a special thanks to Anthology, Chobani, DeLallo, KitchenAid, Deer Valley, OXO, Whole Foods, Harry & David and Wisconsin Cheese for making the first Better Blog Retreat a huge success! We couldn’t have done it without you! And to all of the other sponsors that made our weekend special. Thank you! Thank you for this post and ALL THE pictures and for your detailed thoughts and recapping the whole thing. Must have taken you awhile – but very appreciated. I would have loved to attend the event. As you said, blogging is our job, but real life connections and living real life is the most important thing and to be surrounded by all that positive energy and no doubt tons of laughter, I bet it just recharged you like nothing else! It is the best feeling to leave a group of people feeling happy, refreshed and motivated! Glad that those feelings are balanced by giving yourself more time for family, friends and you! Thanks so much! Glad you enjoyed my recap! Wow..looks so fun. And that place was beautiful. I want to start a blog so I can go to some of these fun events. 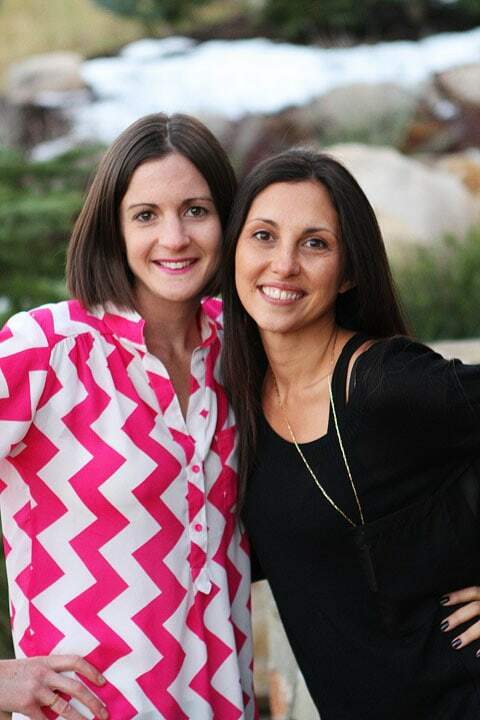 I love your chevron shirt…can you tell me where you got it? Unusual to find the stripes going down instead of around. Thanks. This literally looks like my dream weekend haha, looks like you guys had so much fun!! A great group of lovely ladies. 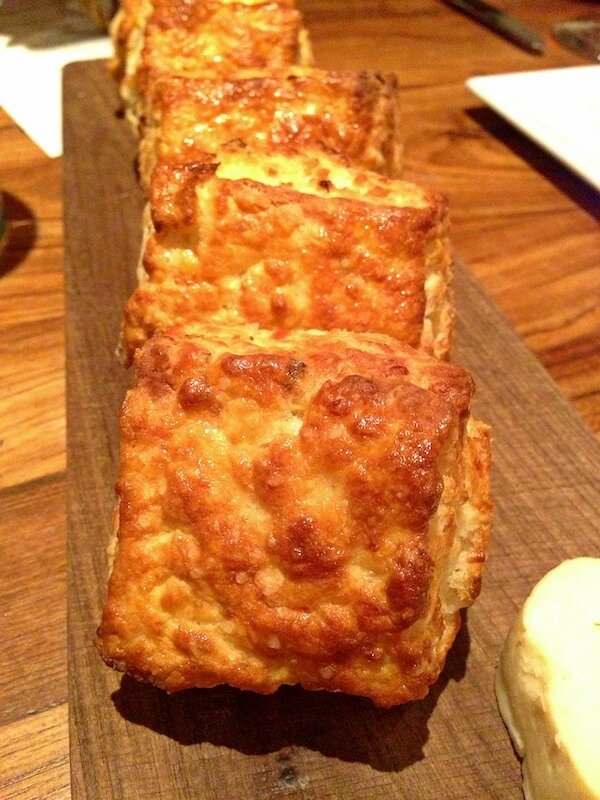 And that brie… omg! Such a great recap – looks like y’all had an amazing time! Was following the tweets and loved learning from everyone! Plus the sponsors seem to have done an awesome job – the food looked amazing! 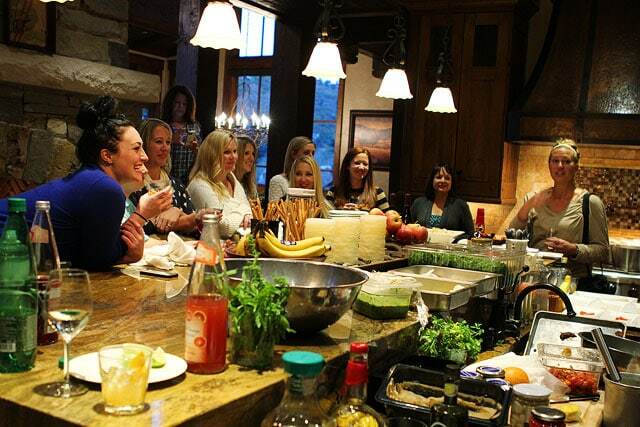 Looks like such an amazing time – and what a great location for a retreat! 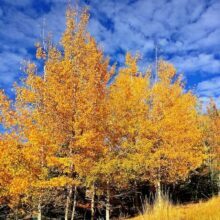 I was out in Park City during Labor Day when it was sunny and it was beautiful, I can only imagine how quaint it must look with snow. Thanks for sharing! Really enjoyed your wonderful pictures. Thank you. Wow, looks like such a great time! 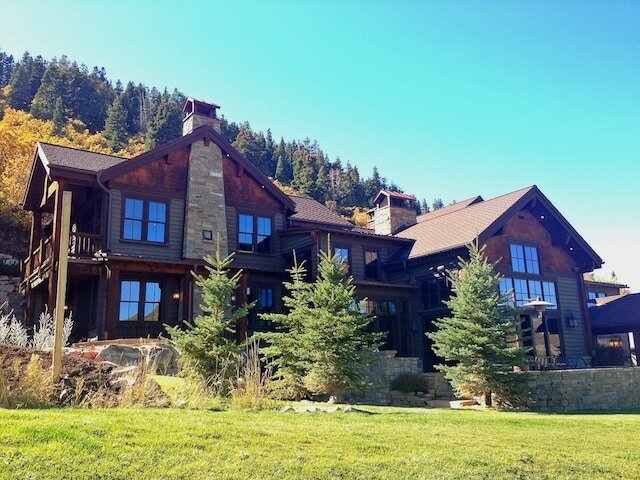 I’m really in love with the vacation home that you stayed at and Utah looks beautiful. 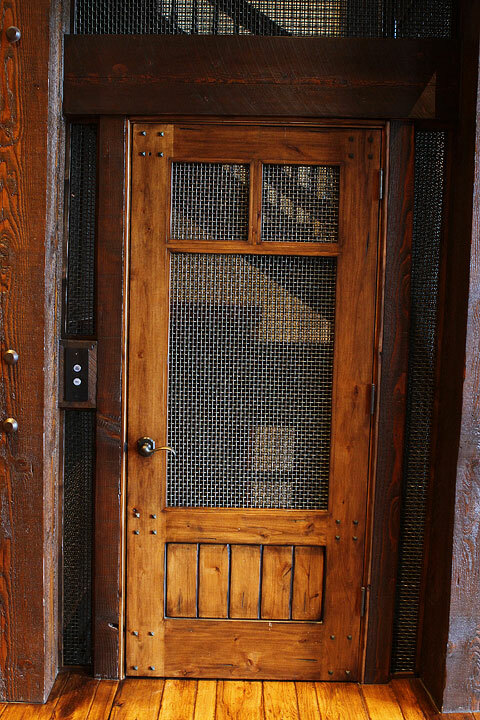 I’m already thinking I might have to do something similar…although on a lesser scale…for a cozy winter getaway! What a great time! Everything looks beautiful and so much more personal than most blog conferences. And snow??? Not sure I’m totally ready for it, but it looks SO pretty! What an amazing weekend you all had! 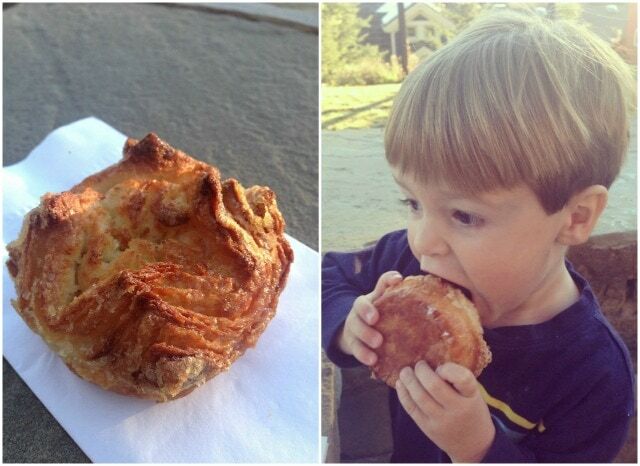 love this post. . and wow, Pinion Pines is just lovely .. omg! 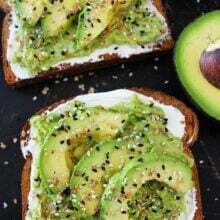 so beautiful. . love all the photos and food shots! and love that this retreat gave you a renewed love for life. that’s what it’s all about, right? Cheers! What an amazing time! The food, weather and bloggers all looked so beautiful! Oh how positively delightful. It’s like bloggy heaven. LOVE the location. It was the best weekend ever! SO glad you were able to join us! What a wonderful looking weekend! I would love a weekend like that! I constantly have so many blog related questions. This was probably one of the most perfect weekends of my life… being surrounded by such great friends in such a beautiful location, learning and sharing and was just what I needed. Love you much. Thanks to you, Heidi and Kelley for organizing such an amazing time. And the sponsors? They were all INCREDIBLE. We are so blessed! WOW! That house is amazing! Thanks so much for sharing. I am in charge of planning our family reunion and I am for sure checking out Anthology! Glad you had a great retreat. I need to get me a waffle baker…and I am going to visit the SoHo Chobani cafe. We don’t live too far away! Love your posts! Yes, definitely check out Anthology Destinations! 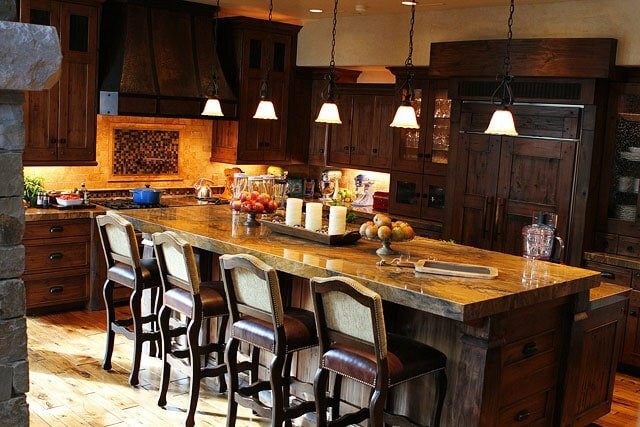 Their homes are perfect for family reunions! If I get to go to heaven when I die, I now know what it will look like and where it is. 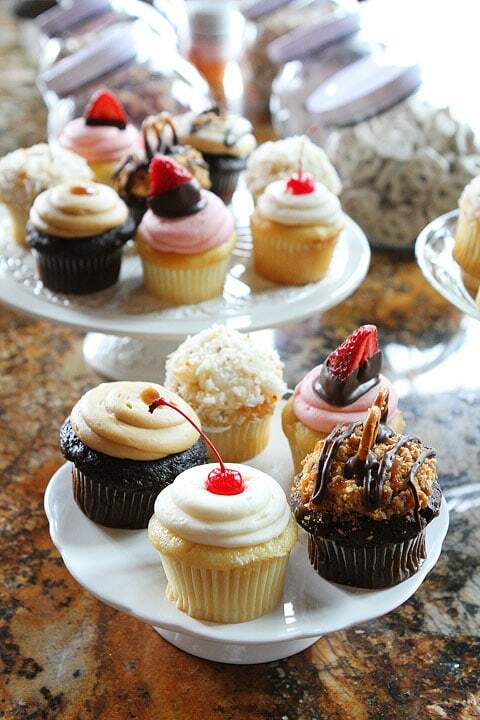 O.M.G….Please excuse me while I pick my jaw up off the ground and wipe the drool up. Ha! The Pinion Pines house is amazing!! Wow, what a fun event on many levels! A dream come true for any blogger. And what a great way to relax and enjoy life!!! What a fantastic retreat! 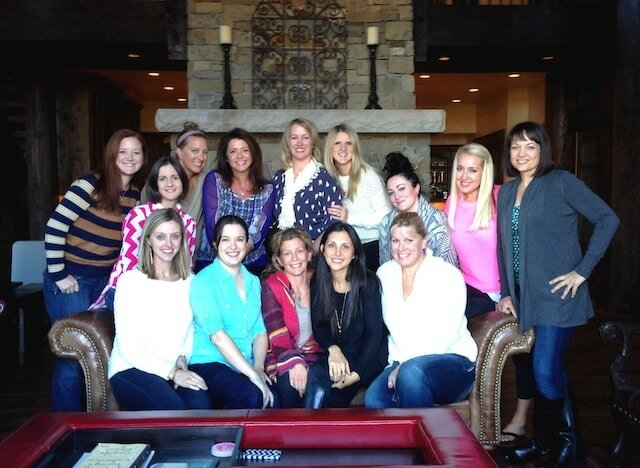 You girls are all the cutest… and that house looks fantastic! 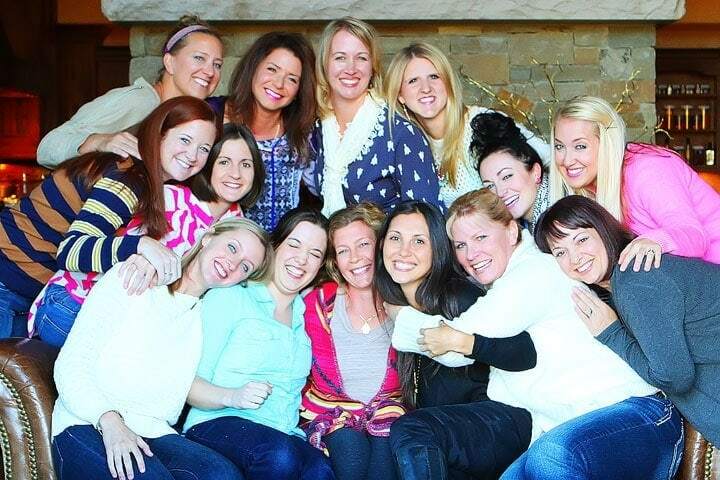 It would be wonderful to know the addresses of all the blogs represented at your retreat! I found a couple of your sites from the comments. This post makes me want to visit them all! I linked to everyone’s site at the bottom of the post, below the group photo. Click on the links to visit all of their blogs! Maria, this is the dream retreat! I’m sure these few days with such a wonderful group of women meant more than any conference out there. Wish I could have been there! Amazing pictures! I’m not a blogger but man, it seems like the same bloggers at every event you post about unless this one was by invitation only then that would make sense to invite your personal food blogging buddies. I’d do the same thing! What an amazing post! Looks like such a great retreat! You gals are such a lovely group, and I’m so happy to be a part of this food blogging community! I really enjoy your blog!! I’m glad the retreat was wonderful!! Will check out the blogs of the other ladies. Thank you for sharing!! 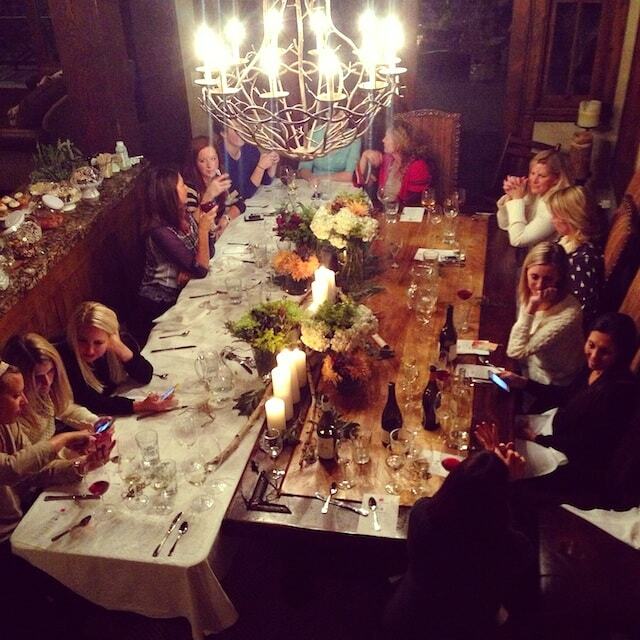 Love seeing all of the fun you gals had, not to mention the delicious food! What a great weekend! 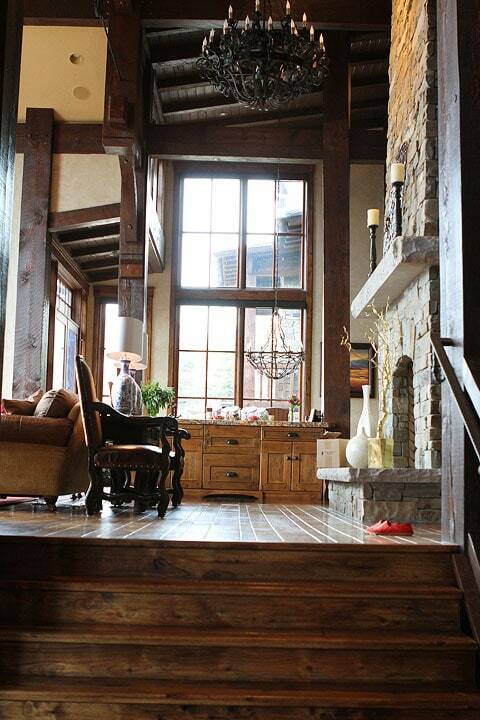 Oh my gosh, that house is amazing. Looks like you girls had an incredible weekend!!! Loved all the pictures! Oh how I would have loved to been at this retreat! Anthology has homes in Seaside and Rosemary where I live, but Pinon Pines looks amazing and I could use some snow! The sponsors really stepped up! How did you select the bloggers for your retreat Maria? Hi Susan. Pinion Pines is amazing! You should visit! 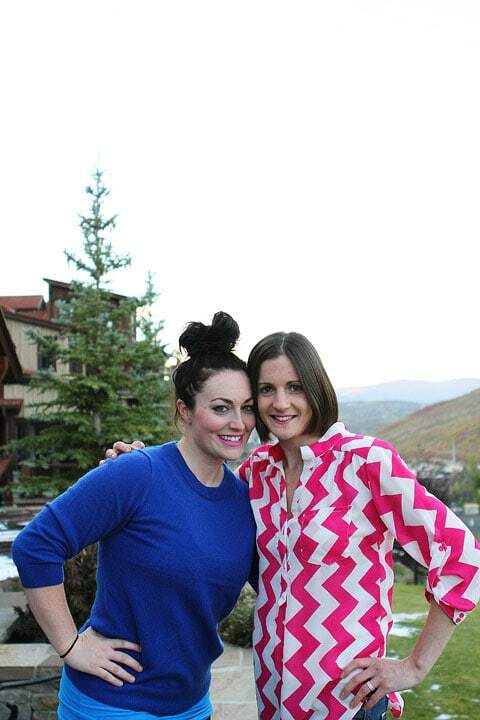 My blogging friends and I have been talking about a retreat for years! I just made it happen:) We hope to do more in the future so we can include more bloggers! Looks like a great retreat!